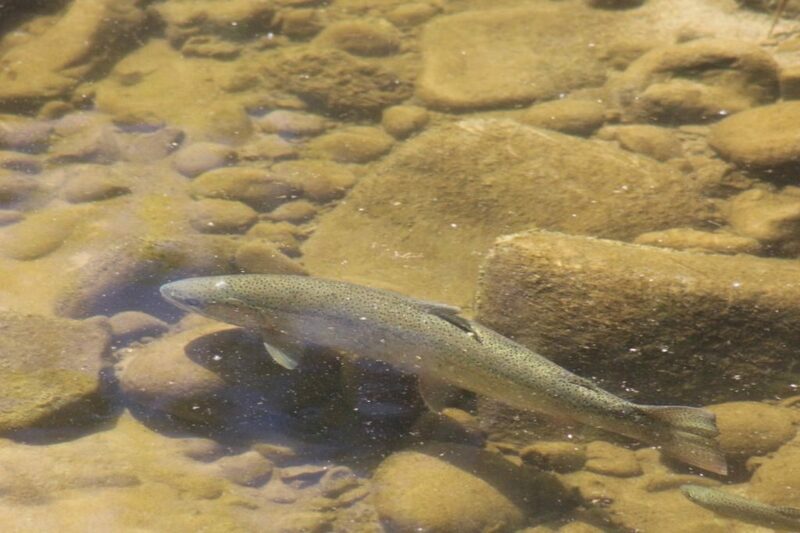 Amazing Steelhead Trout in Local Creeks is One of Most Endangered Fish Species in U.S. It was March 11, 2017. Rumor had it that after five years of drought, winter storms brought a single adult southern California steelhead from the Pacific Ocean into Maria Ygnacio Creek in Goleta, where it became trapped below a dam, unable to migrate upstream to historic spawning grounds. As I approached the pool at first light, I saw a 22” female steelhead – still silvery from her years in the ocean – swimming slowly and proudly above her gravelly nest with her smaller mate, a resident trout, remaining loyally at her side. The 22” steelhead and her mate in Maria Ygnacio Creek. Photo by Moe Gomez, South Coast Habitat Restoration. March 2017. Southern California steelhead is a salmon that lives in the Pacific Ocean and spawns in coastal streams from the Santa Maria River to Mexico. Weighing over ten pounds and reaching 30 inches in length, steelhead are a prized sportfish as well as a critical ecological link in our watersheds. Wildlife officials estimate that there are only 500 ocean-going steelhead remaining in southern California – about 1-2% of the historic population. But after five years of drought, only seven were seen in 2017, three of which were in Santa Barbara streams. Adult steelhead can fertilize over 10,000 eggs in one nest. So, this pair of fish instinctually protecting their eggs was also guarding the future of their species. Incubating along with their eggs was the promise of recovering a species that is so rare, seeing one is almost like seeing a unicorn. A female steelhead clears silt from her nest to protect eggs in Mission Creek, her mate nearby. Photo by David Pritchett. 2007. Environmental groups sued the federal government to force the listing of steelhead populations under the Endangered Species Act (“ESA”). 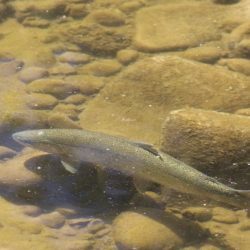 Of the fifteen steelhead populations, only the southern California steelhead is listed as endangered, and initially the listing only protected fish in creeks south to Malibu. But then, in 2002, EDC successfully sued to ensure protection of all steelhead populations south to Mexico. EDC has collaborated with California Trout and state and federal agencies for almost three decades to restore steelhead in the Santa Ynez River, which once supported a run of over 20,000 steelhead – approximately half of the historic southern California steelhead population. The State Water Board recently released its “draft order” which concurs with EDC and CalTrout: steelhead need migratory access to perennial headwaters to complete their life cycle, and adequate flows should be required by state and federal resources agencies to get them to and from the ocean. When the Bureau of Reclamation failed to provide water for steelhead living below Bradbury Dam in Hilton Creek causing over 390 young Santa Ynez River steelhead to die, EDC sued on behalf of CalTrout. EDC’s lawsuit resulted in a requirement that the Bureau fix its pumps that release water out from the Dam and maintain a backup system for protecting endangered steelhead in Hilton Creek. Dead steelhead in Carpinteria Creek after pumping left the stream dry overnight. Photo by Moe Gomez, South Coast Habitat Restoration. April 2008. Twitchell Dam impairs flows in the Santa Maria River so steelhead cannot migrate upstream to spawn in the Sisquoc River; they get trapped and die in a drying river. On behalf of Los Padres ForestWatch, with partners SLO Coastkeeper and Lawyers for Clean Water, EDC recently filed suit to protect the endangered Santa Maria River steelhead. In addition, EDC successfully petitioned the State to close the Sisquoc River to fishing to comply with the ESA. 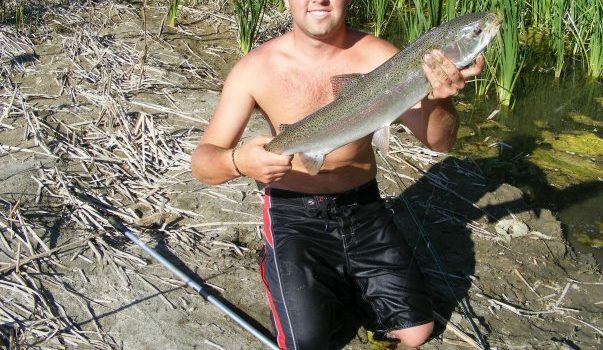 A poacher illegally captures an endangered steelhead in the Santa Ynez River. In addition to EDC’s successful legal work, it takes extensive cooperation to recover steelhead. EDC contacted two Goleta farmers on whose land an obsolete dam sits along with two roads which block the migration of steelhead to their historic spawning grounds. EDC, the farmers, and the Cachuma Resource Conservation District pieced together funding from ten partners to design a project to remove the dam and replace the roads with bridges to restore steelhead access to spawning habitat. What are the Steelhead telling us? As an “indicator species”, steelhead are a “canary in the coal mine” telling us our environment and watersheds on which our communities depend are failing. Restoring waterways to recover steelhead will benefit our society and the many species in the web of life, including some others EDC successfully petitioned to get listed as endangered: e.g., the California red-legged frog, the southwestern arroyo toad, the southwestern willow flycatcher, and the unarmored three-spine stickleback fish. A lone steelhead attempts to jump over a manmade dam in Atascadero Creek. Photo by Julia Thompson. March 31, 2013. What happened to the 22” steelhead and her mate in Maria Ygnacio Creek? A storm in late March enabled them to swim safely to the ocean. Perhaps they will return next year. 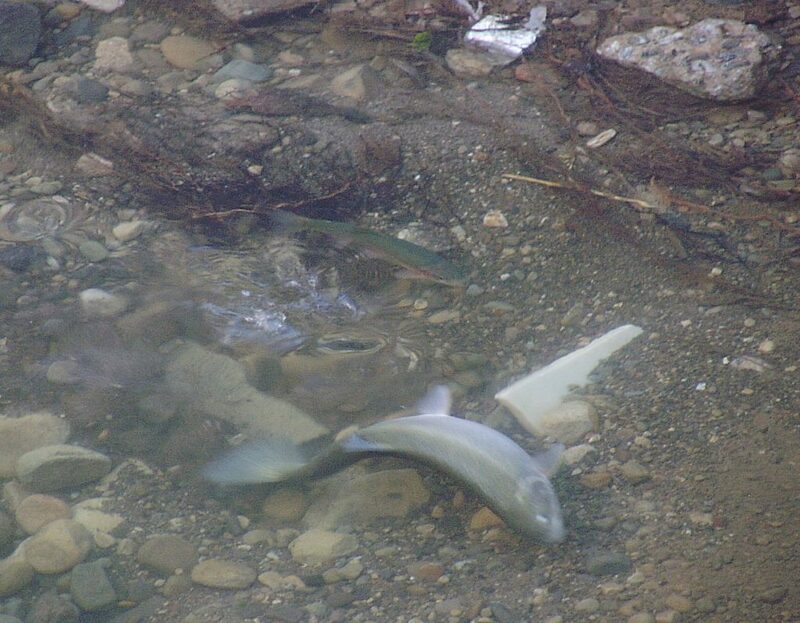 The California Department of Fish and Wildlife monitored the steelhead nest, waiting for the eggs to hatch. When flows began to cease in May, this agency requested the cooperation of Santa Barbara County officials to release a trickle of water from a fire hydrant for just three weeks to ensure the eggs hatched and thousands of young steelhead could be rescued. However, the County Public Works staff refused to cooperate with Fish and Wildlife officials. As a result, the thousands of eggs – the best hope for the steelhead’s future – perished unnecessarily. This sad ending holds a critically important lesson: collaboration is necessary to protect our environment. Steelhead are still migrating up our streams and that gives great reason for optimism. With cooperation amongst diverse partners including state, federal, and local governments, and with continued effective legal work by EDC, steelhead will remain an essential link in the web of life. We hope that your children and their children will be able to experience the awesome feeling of watching steelhead return to spawn in our local creeks! For more information, to see video footage of the Maria Ygnacio Creek steelhead, and to see how you can get involved in steelhead conservation, contact the author at btrautwein@environmentaldefensecenter.org or (805)963-1622. 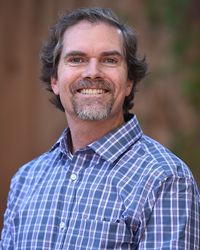 Brian Trautwein is EDC's Environmental Analyst & Watershed Program Director. Nice blog; great work! Much to do….still hope!